Simple and good. And OH so fast. 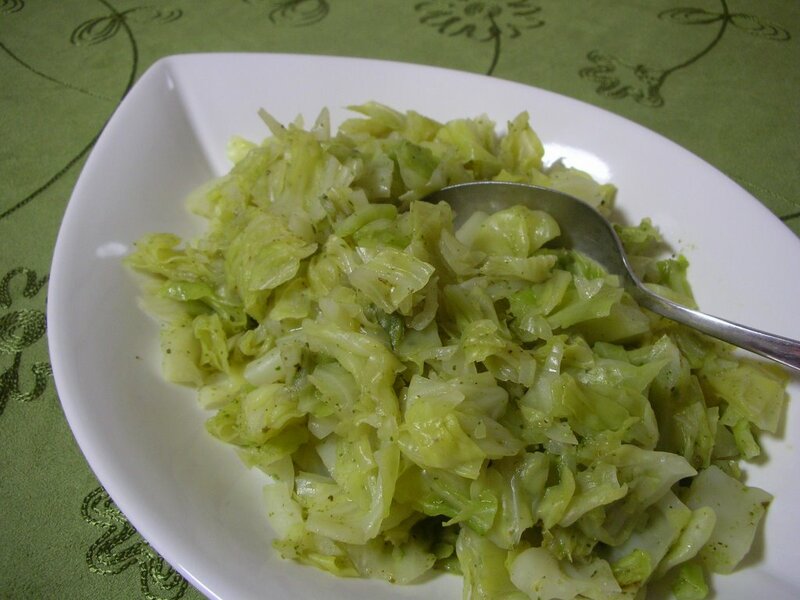 Just a little cooked cabbage (no sniffing! no up-turned noses! it's good!) with a little spinach pesto, what I call Winter Pesto, stirred in. FROM THE ARCHIVES For other oh-so-simple vegetable sides, see here in the Recipe Box. Start the water in a medium saucepan over MEDIUM HIGH. (Don't forget to salt the water!) Add the cabbage as it's prepped, even before the water boils. Once the water begins to boil, cover, reduce the heat to MEDIUM and let simmer for about 15 minutes. Drain and stir in the pesto. Serve and enjoy!! I have to pick up a cabbage on my next shopping trip. I always use some of the cabbage, and then wonder what to do with the rest. Thnaks for this recipe!